The Dusty 45s usually play "The Lonely Bull" to close their set. 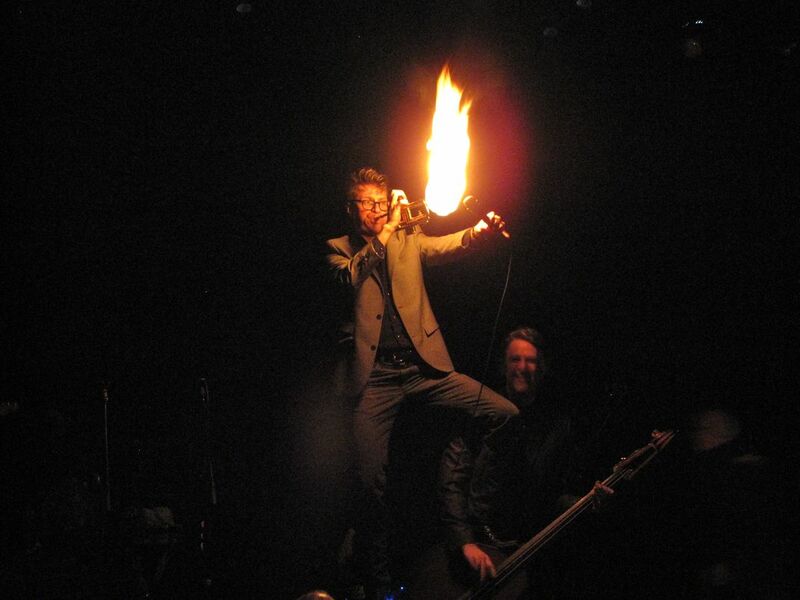 Billy Joe Huels (singer, guitar and trumpet) switches to his trumpet, stands on the stand-up bass and sets fire to the trumpet while playing the song. Quite the show stopping performance. Date Uploaded: Dec. 10, 2015, 1:56 p.m.